You think nothing of ordering a pizza for home delivery, but pancakes? 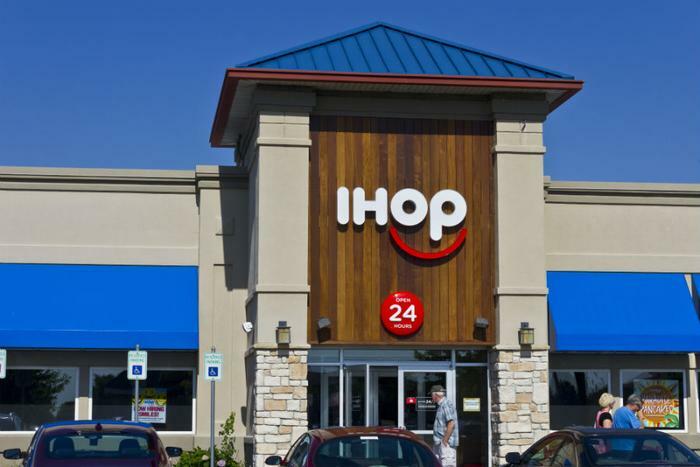 IHOP, which has restored its brand name after briefly changing it to IHOb to promote its foray into burgers, is teaming up with DoorDash to begin home delivery from 300 of its restaurants. The restaurant chain, known chiefly for its breakfast menu, already has a mobile app, called IHOP 'N GO. Customers will use the app when ordering through DoorDash. IHOP says the full range of items off the restaurant's regular and limited time menus, as well as customized orders, are available for delivery. If you're wondering how pancakes will hold up under delivery conditions, IHOP says it's way ahead of you. It says to-go orders will travel in special packaging to keep the food hot and fresh while in transit. IHOP President Darren Rebelez says the home delivery partnership with DoorDash is part of the company's 60th anniversary observance. "Undertaking a national delivery partnership is an exciting new chapter in our story and builds on the foundational work we've done on IHOP 'N GO this past year, including introducing a mobile app, online ordering through IHOP.com, and special packaging that preserves the quality of our food for takeout,” Rebelez said. “Most importantly, our partnership with DoorDash helps us bring more pancakes, to more people, whenever and wherever cravings strike – something IHOP guests told us they wanted." IHOP has been on something of a promotional binge lately. Last month it temporarily changed its brand to IHOb to promote the introduction of a number of new burger selections to its menu. But it made clear that it was not giving up its claim to breakfast, which has far fewer competitors than the burger space. The restaurant chain said it is beginning with just over 300 IHOP restaurants for online ordering through the DoorDash website and mobile app. It expects to add another 600 to 700 locations by the end of the year. Though July 22, there's free delivery when ordering using IHOP 'N GO through DoorDash on purchases of $10 or more. After that, normal DoorDash delivery charges apply.